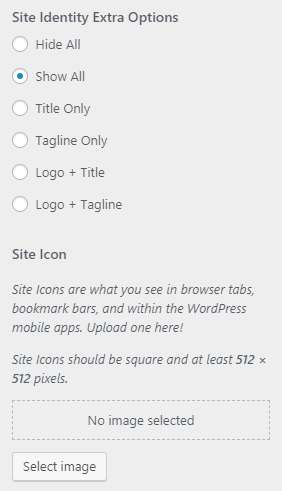 2.1.How to manage Site Title, Logo, Tagline and Site Icon? 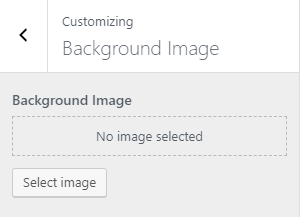 2.3.How to manage Background Image? 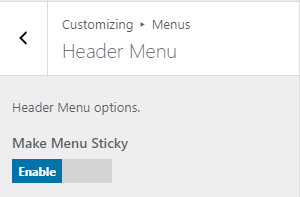 2.4.How to create a menu? 2.5.How to create a Widget? 3.How to setup front page as shown in the demo? 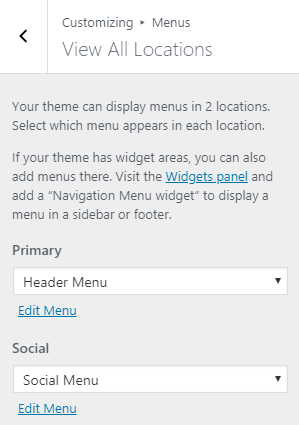 4.How to manage Theme Options? 4.1.How to manage Top Bar? 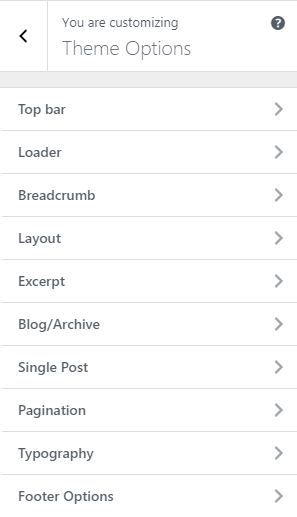 4.6.How to manage Blog/Archive Options? 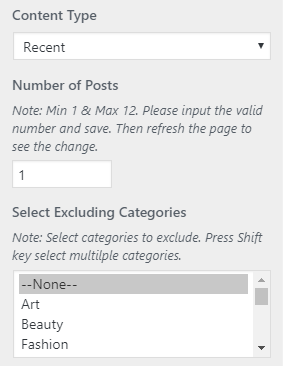 4.7.How to manage Single post Options? 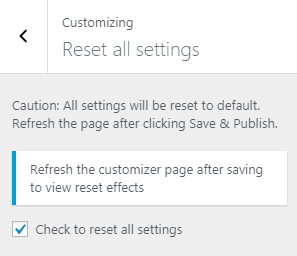 5.How to manage Reset all settings? 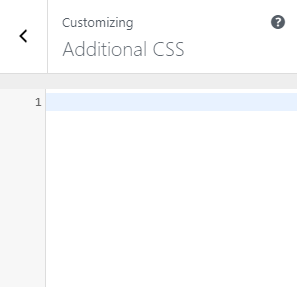 6.How to manage Additional CSS? Click Browse. Locate magpaper-pro.zip theme in your computer. Select magpaper-pro.zip and click Install Now. Unzip magpaper-pro.zip to your Desktop. 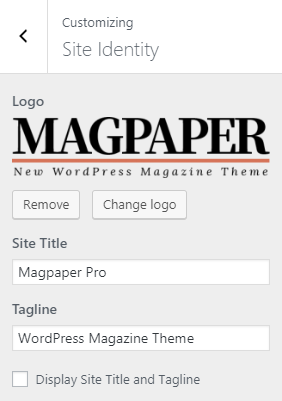 Using an FTP client to access your host web server, go to /wp-content/themes/ and upload your new copy of Magpaper Pro theme. 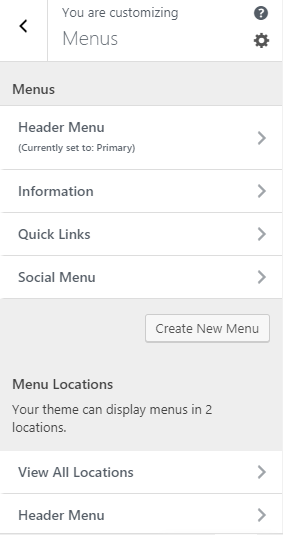 Note: Load free theme has two menu location provided as Primary. 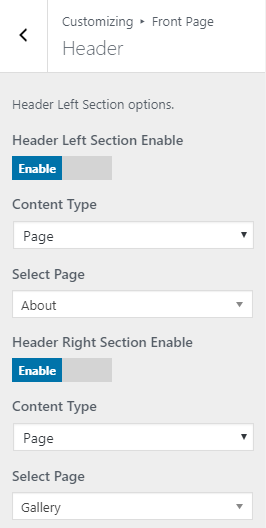 To configure Header section, you need to go to Admin Panel / Appearance / Customize / Front Page / Header. 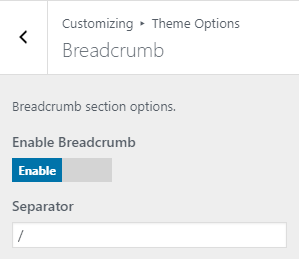 Enable Left Section Header: Check to enable on home-page otherwise Uncheck to hide. 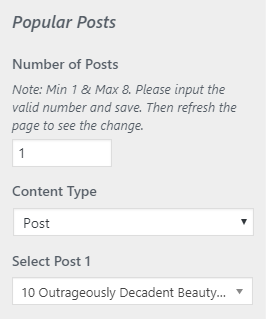 Content Type : It contains select options ( Page, Post) which allow user to select featured image from one of those. 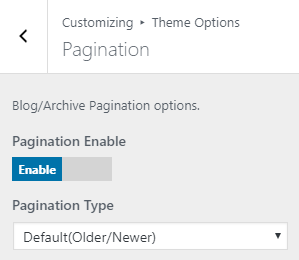 Pages: Selecting Pages as Content Type allows user to choose Pages from Select Page setting where feature image and content of that selected Pages is displayed as header section image and section content. 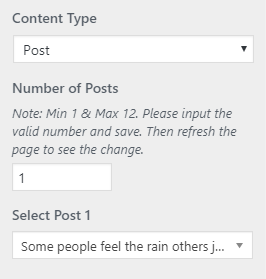 Posts: Selecting Posts as Content Type allows user to choose Posts from Select post setting where feature image and content of that selected Posts is displayed as header section image and section content. 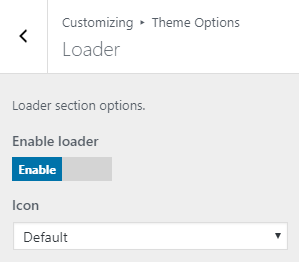 Enable Right Section Header: Check to enable on home-page otherwise Uncheck to hide. 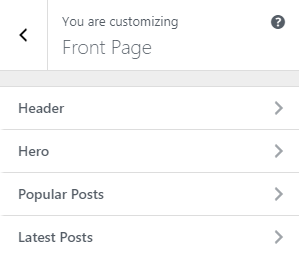 To configure Hero section, you need to go to Admin Panel / Appearance / Customize / Front Page / Hero. Enable Hero: Check to enable on home-page otherwise Uncheck to hide. 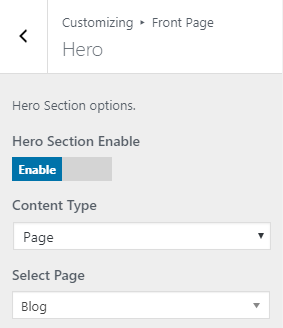 Pages: Selecting Pages as Content Type allows user to choose Pages from Select Page setting where feature image and content of that selected Pages is displayed as Hero section image and section content. 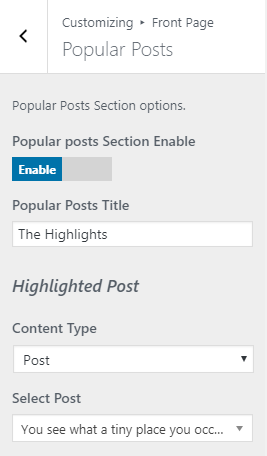 Posts: Selecting Posts as Content Type allows user to choose Posts from Select post setting where feature image and content of that selected Posts is displayed as Hero section image and section content. 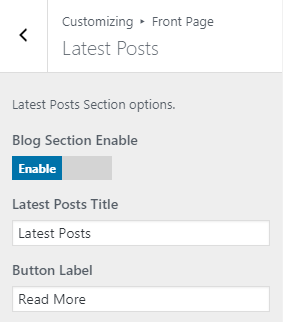 Popular Posts Title: This setting allows user to change the title of the section. 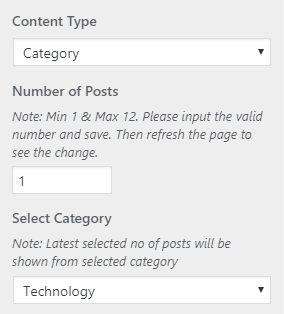 Posts: Selecting Posts as Content Type allows user to choose Posts from Select post setting where feature image and content of that selected Posts is displayed as popular post section image and section content. 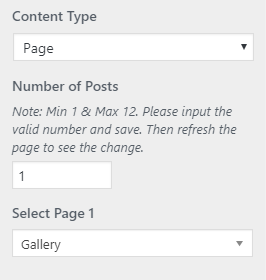 Pages: Selecting Pages as Content Type allows user to choose Pages from Select Page setting where feature image and content of that selected Pages is displayed as popular post section image and section content. No. 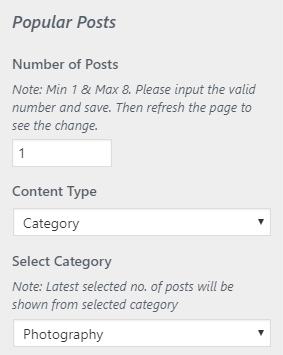 of Posts: This setting allows user to set no of posts as required. Content Type : It contains select options ( Page, Post, Category) which allow user to select featured image from one of those. Category: Selecting Category as Content Type allows user to choose Category from Select category setting where feature image and content of that selected Category is displayed as Popular section image and section content. 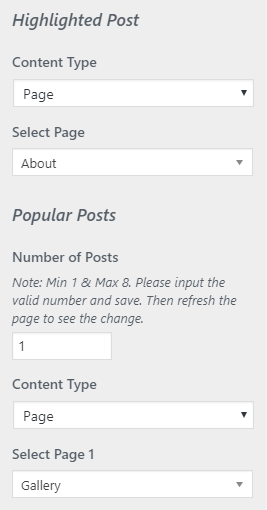 To configure Latest Posts section, you need to go to Admin Panel / Appearance / Customize / Front Page / Latest Posts. 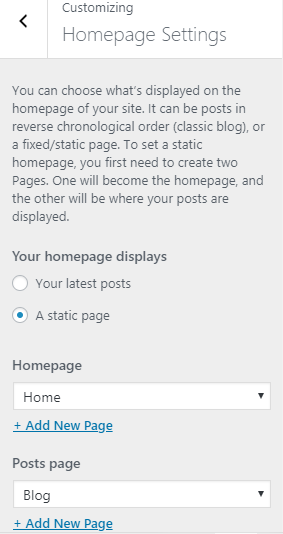 Latest Posts Section Enable: Check to enable on home-page otherwise Uncheck to hide. No. 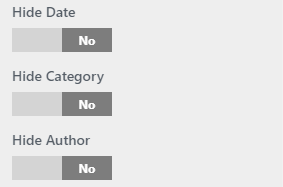 of Project: This setting allows user to set no of posts as required. 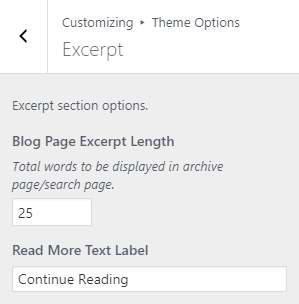 Pages: Selecting Pages as Content Type allows user to choose Pages from Select Page setting where feature image and content of that selected Pages is displayed as blog section image and section content. Powered By Text: This changes the copyright text of Powered by text content. 2. 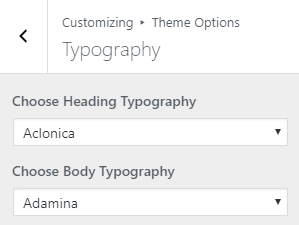 From Theme Options, you will see Top Bar. 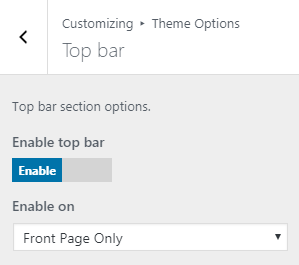 Enable On: Front page only option for top bar display front page only. And Full Site Option for topbar display in whole sites. 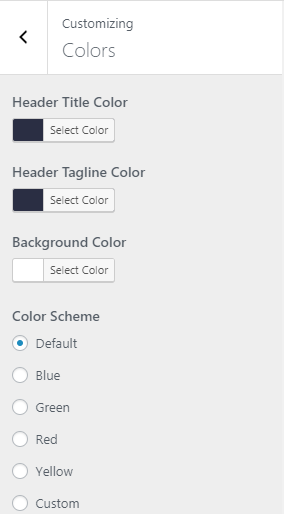 This option is used to change the layout option of site also allows to change the Width of the body part.Available site layout is Wide , Boxed. 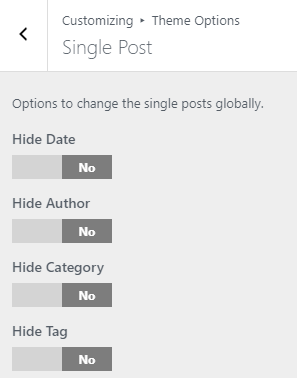 Global Sidebar Position : This option is for Global Sidebar Position. You can choose either Right sidebar or Left sidebar or No Sidebar. 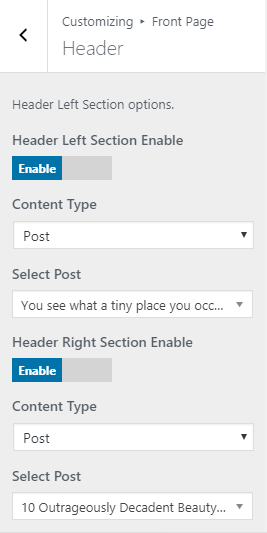 Posts Sidebar Position : This option is for Posts Sidebar Position. You can choose either Right sidebar or Left sidebar or No Sidebar. 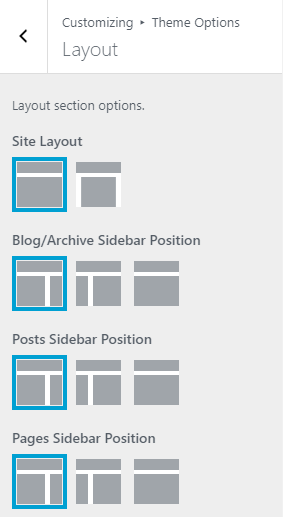 Pages Sidebar Position : This option is for Pages Sidebar Position. You can choose either Right sidebar or Left sidebar or No Sidebar. Read More Text: This option allows user to set Read More Text. 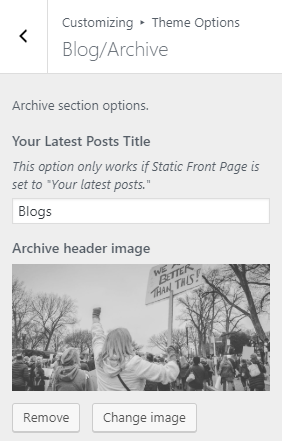 Archive header image: This option allows user to change header image for blog page. 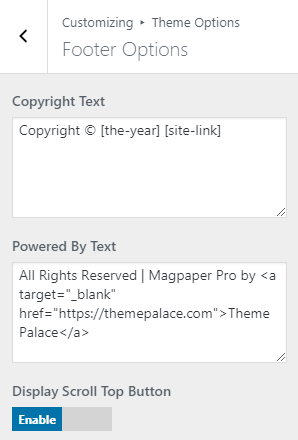 Using an FTP client to access your host web server, go to /wp-content/themes/ and upload your new copy of Magpaper Pro theme which shall replace the old files.